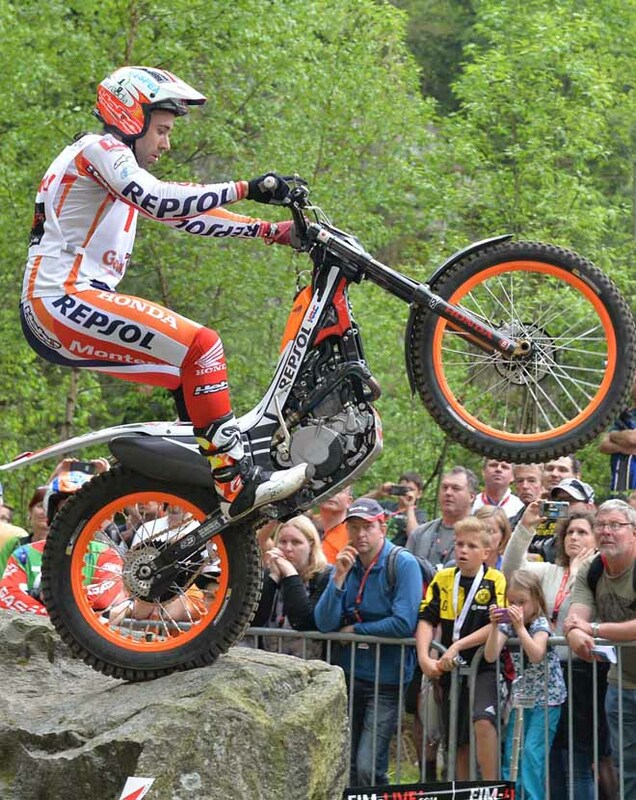 Marking his third win of the season, Toni Bou – Repsol Honda earned a narrow victory on the opening day of round three of the 2016 FIM Trial World Championship held in Gefrees, Germany. On what proved to be a dry and warm occasion despite the severe threat of thunderstorms in the region, Bou edged himself just clear of his main rival by the end of his third lap as a mere three marks separated the podium places. 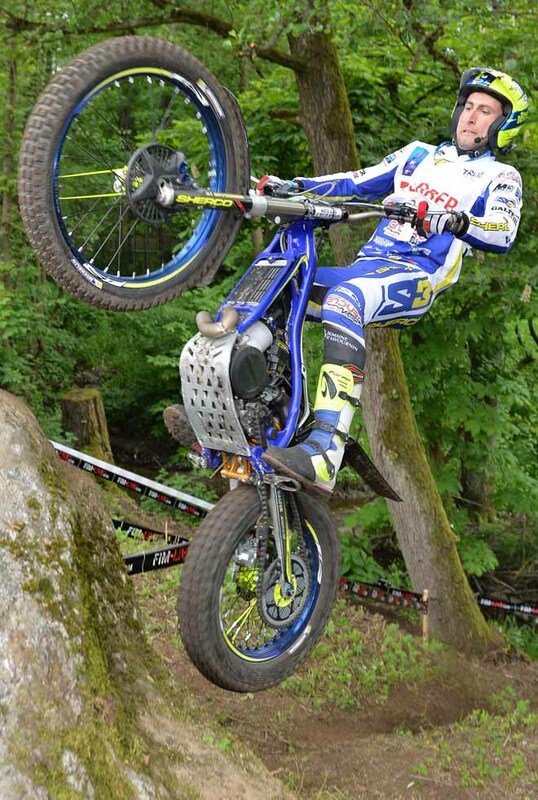 Adam Raga – TRS fell just two marks short of being triumphant in second spot as he demoted his compatriot Albert Cabestany – Sherco to third position by a single mark. This leading Spanish trio rode themselves well clear of the rest of the field with veteran campaigner Takahisa Fujinami – Repsol Honda finishing fourth but some way of the pace of rostrum placed riders. Jeroni Fajardo – Vertigo equalled his best result of the season to date as he completed the top five on the first day of competition. 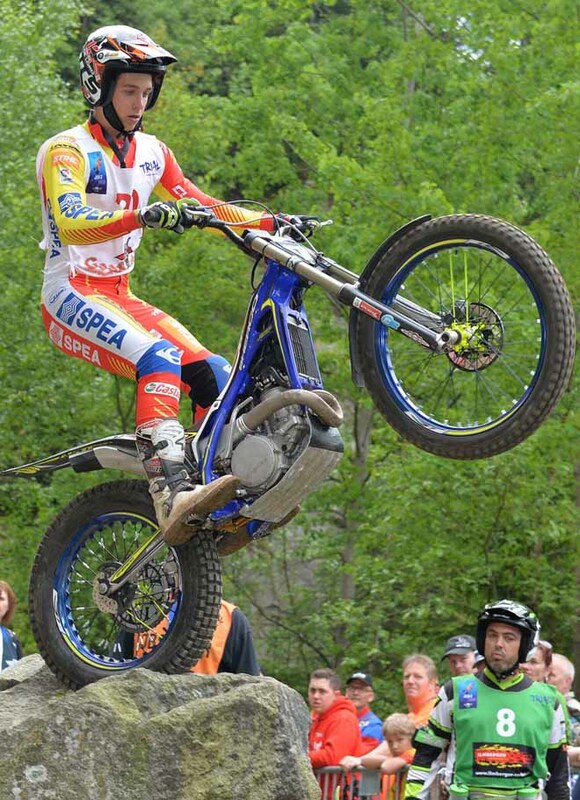 Jaime Busto – Repsol Honda, James Dabill – Vertigo and Miquel Gelabert – Sherco filled places sixth through to eighth respectively, the latter of this trio recording his best ever result since moving to the TrialGP class earlier this year. 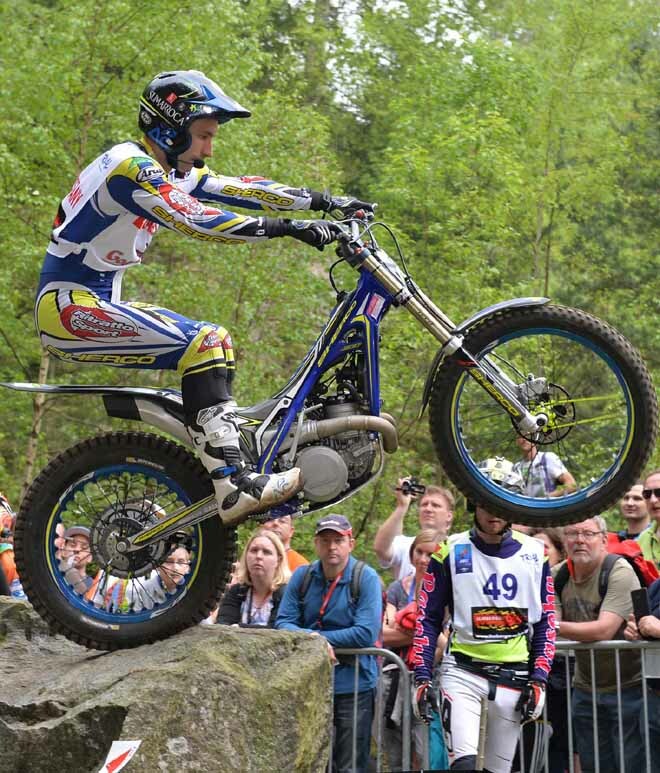 This left Sweden’s Eddie Karlsson – Montesa and Oriol Noguera – Montesa to close out Saturday’s top ten in the blue ribbon class. 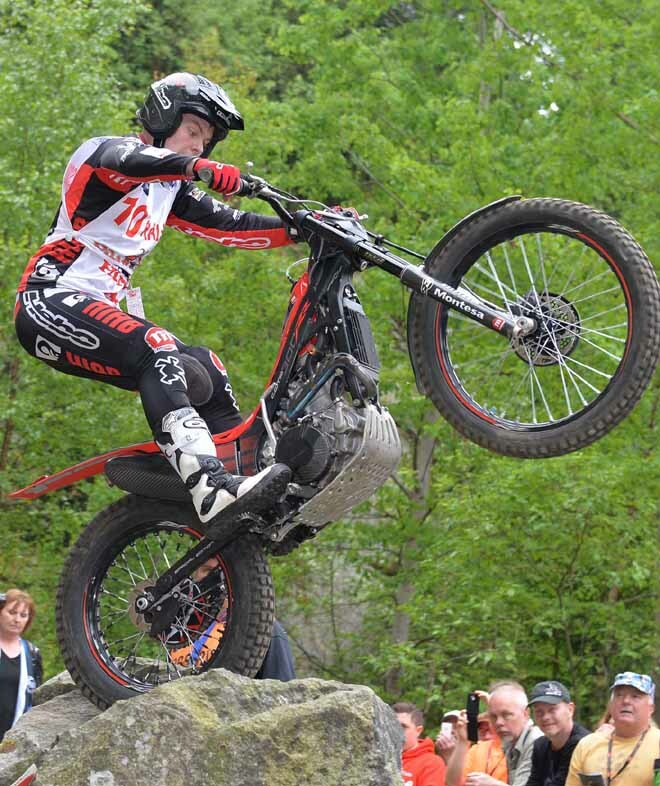 Jack Price – Gas Gas celebrated his nineteenth birthday by taking his second win of the 2016 season in the highly competitive Trial2 class and in doing so moves to the top of the overall standings. 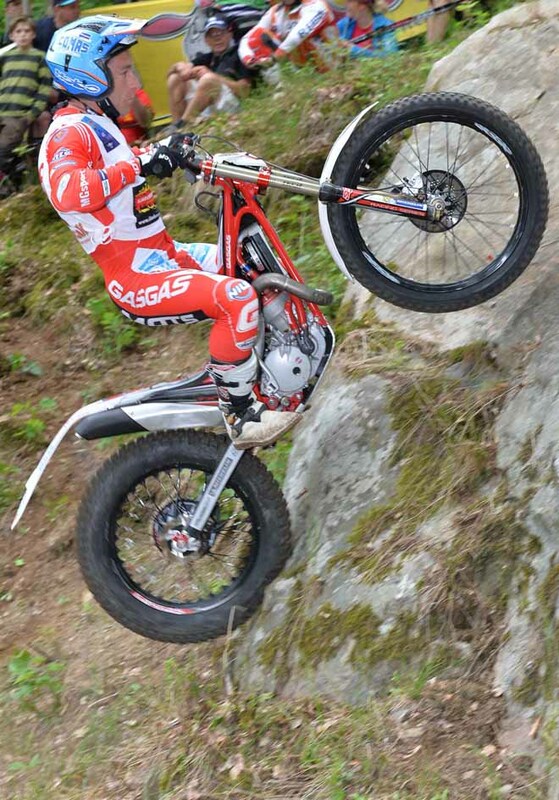 Italy’s Luca Petrella – TRS recorded his best result of the campaign to date as he was a worthy runner up on the day, seven marks back from Price. 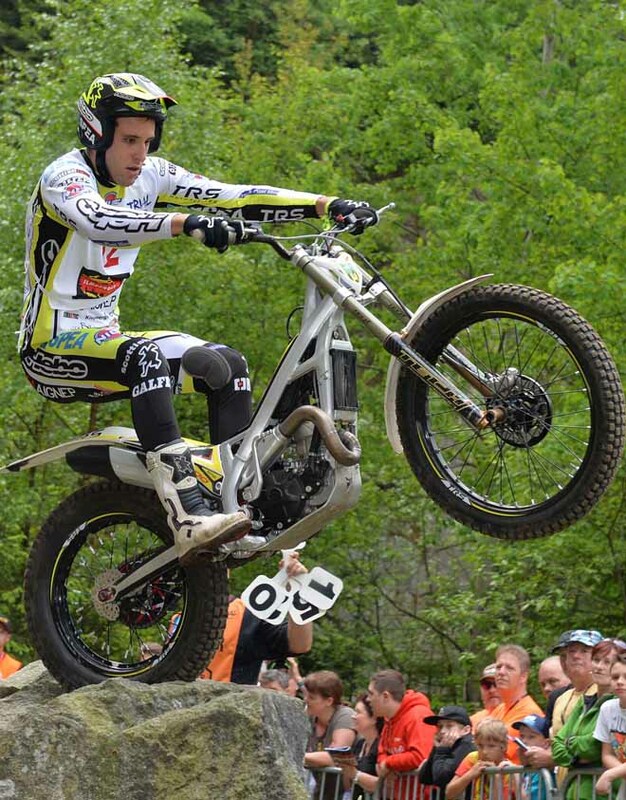 The podium on day one was rounded out by Spain’s Arnau Farre – Gas Gas as only nine marks split places first to third. 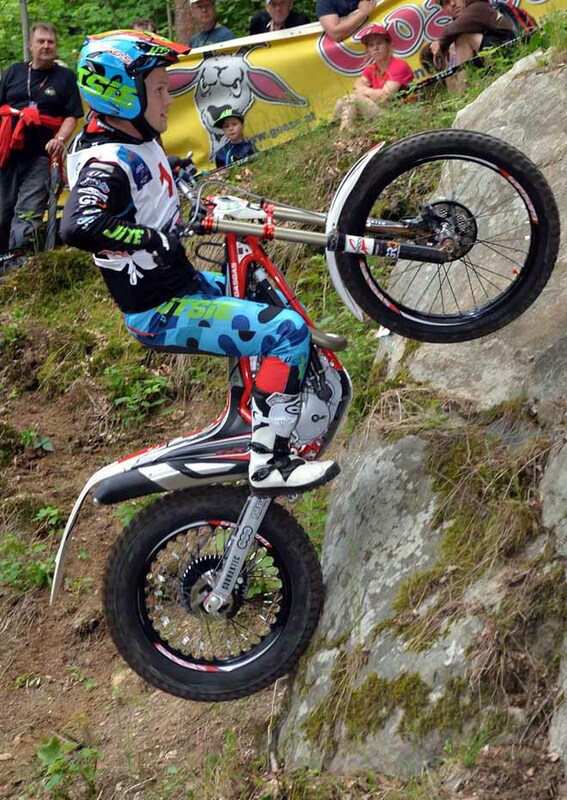 Benoit Bincaz – Scorpa and Filippo Locca – Beta ended Saturday in fourth and fifth spots respectively. Price now leads Farre by eight points in the championship standings, with previous series leader Iwan Roberts – Beta having dropped to third overall after he only finished in eighth position today. 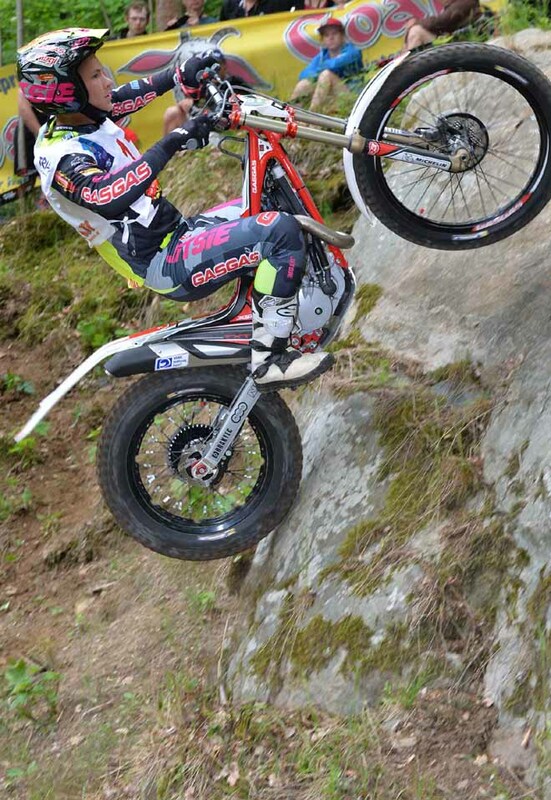 The 100% winning run of Jack Peace – Gas Gas came to an end today as German rider Jarmo Robrahn – Beta easily topped the Trial125 class at his home GP with a winning margin of twelve marks over the series leader, Peace. 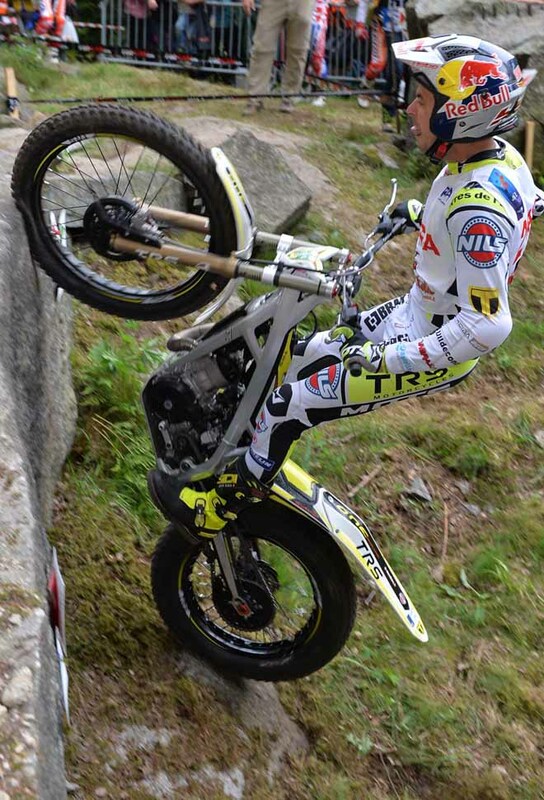 With Robrahn having ridden in the Trial2 class at the opening round in Spain, his victory did little to affect the main title fight as again Peace beat his main championship rival Max Faude – Beta who finished third on the day to give the home fans even more to cheer about. Peace remains at the head of the overall standings having extended his lead to fourteen points over Faude. With today’s Trial having unexpectedly played out in in warm and dry conditions, the question remains, will the predicted thunderstorms finally arrive for the second day of competition tomorrow? This would totally change things out on the course if the rain falls as heavily as was forecast.